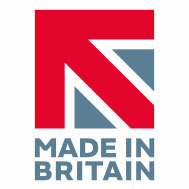 We are pleased to announce that Steon Lighting is now a member of the Made in Britain Campaign. Made in Britain was originally set up in 2011, before evolving into an independent, not-for-profit organization called the Made In Great Britain Campaign Ltd, which was officially established in 2013. The campaign works to unite, support and promote all manufacturers and the entire British manufacturing sector within the UK and around the world. The Made In Britain registered marque can be recognised globally making it clear to consumers that the products have been manufactured here in the UK. Steon Lighting is a Great British manufacturer who has a proud heritage of providing a comprehensive range of high quality luminaires with an exemplary service. At Steon we manufacture luminaires at our Lancashire based headquarters and have a strong ethos for using domestically sourced components. By using the marque as a prominent feature on our website and social media sites we hope to fill our customers with confidence in regards to the quality and reliability of our luminaires.